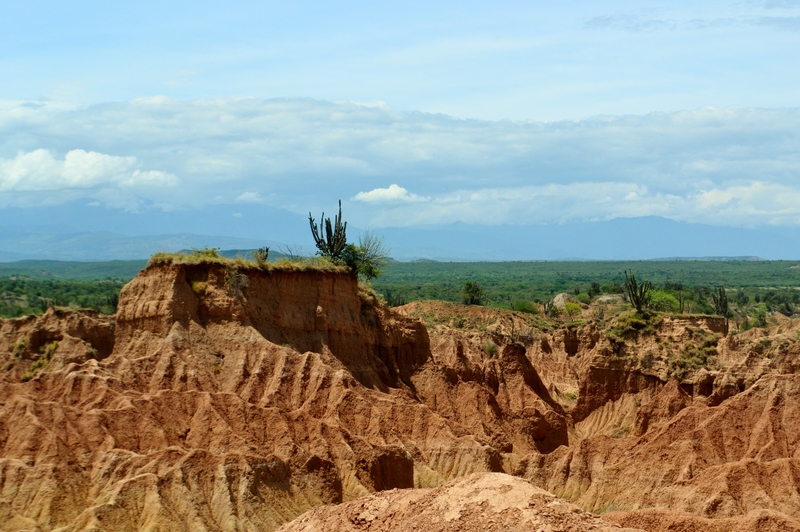 After a forty-minute trip by road from Neiva to the north you reach the municipality of Villavieja, where the Desert of La Tatacoa is located. 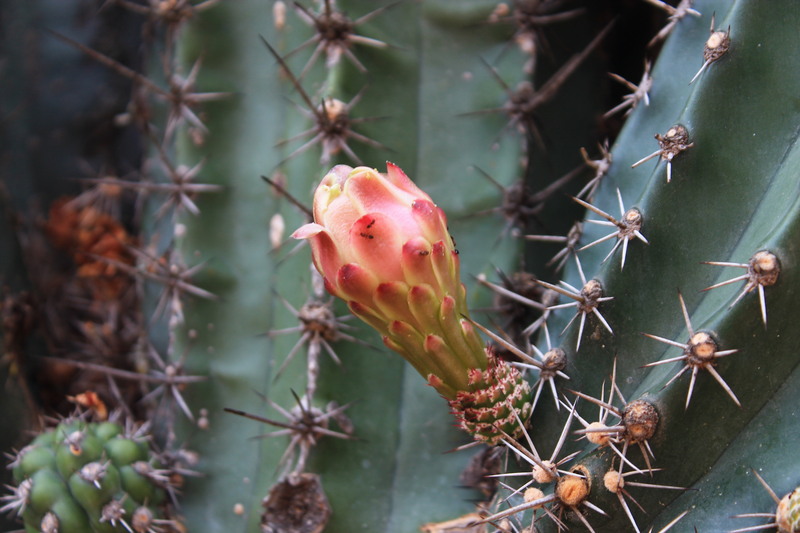 There, the reddish earth and the cactus that stretch in the shape of a candelabrum make up an arid landscape that is ideal to explore during the day and to see the stars at night. 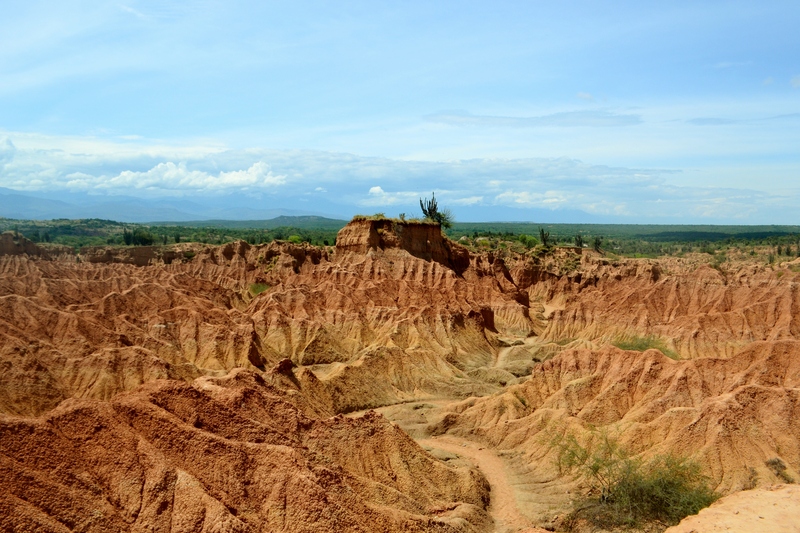 La Tatacoa Desert, the second largest dry area in Colombia after the desert of La Guajira, is one of Colombia’s most attractive natural landscapes. This desert enjoys a privileged geographic location at latitud 3º13′ north and longitud 75º10′ west, not far form the equatorial line.